I must confess I love refrigerator desserts they are so refreshing, especially after Thanksgiving dinner. The last thing you want to add is a rich dessert. So I made a dessert that is light almost like a mousse or a gelato ice cream. I took a traditional key lime pie recipe, made a gluten-free crust and created a mousse-like custard. 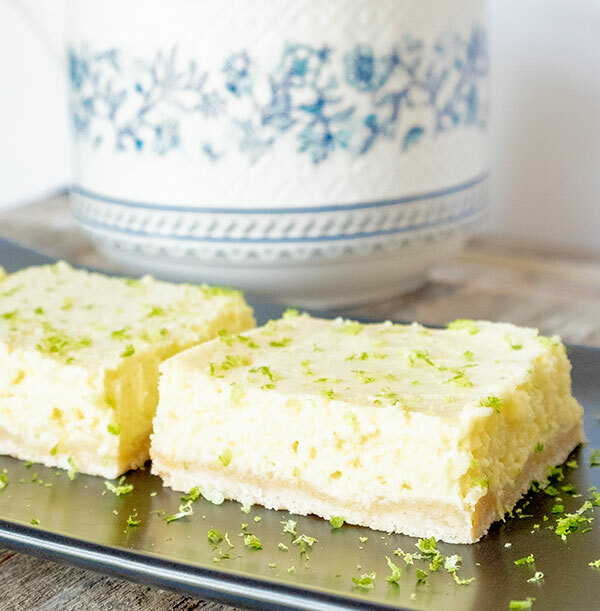 I baked it in a square pan instead of a pie dish, this way I can cut it into small bite size pieces or in my case larger pieces making everyone happy 🙂 This gluten-free key lime dessert is super light and dairy-free not like the typical dense version, you will love it! I know that key limes may not be available everywhere, but don’t stress, you can substitute the key lime juice with a mixture of fresh lemon juice and fresh lime juice and still call it key lime dessert. 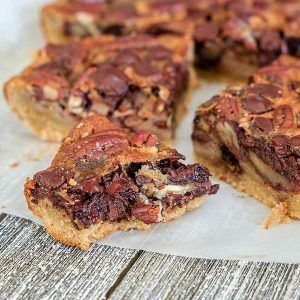 This is a no-fail dessert that is super easy to make and tastes so good!! I like to serve the squares with just fresh key lime zest, but if you want to go all out serve it with whipped cream. Trust me, it doesn’t get any better than this. Prepare the crust. In a medium mixing bowl, stir together all the dry ingredients, then stir in the coconut oil and water. Mix until thoroughly combined. Press the mixture evenly over the bottom of the pan and bake for 10 minutes Remove from the oven and cool completely while preparing the filling. 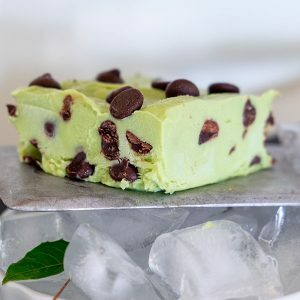 best gluten-free dessert I have ever made and super easy too, thank you!!!! !